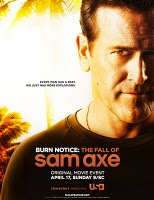 USA has given a formal green light to the Burn Notice movie prequel starring Bruce Campbell, which will be directed by Burn Notice star Jeffrey Donovan. The two will also executive produce with Burn Notice creator Matt Nix, who wrote the movie, and the series exec producer Mikkel Bondesen. 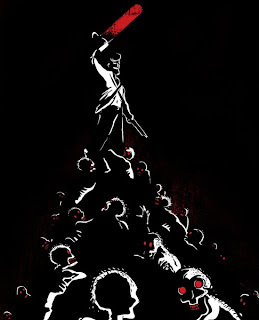 The untitled two-hour film, which was announced at this year's Comic-Con, will begin shooting in January on location in Bogota, Columbia for a premiere in Spring 2011. 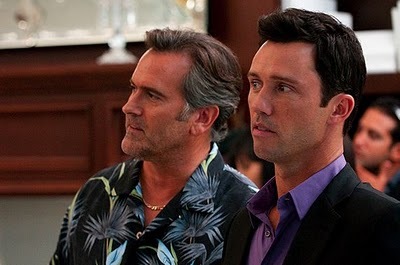 Burn Notice has wrapped production on Season 4, and filming on Season 5 is slated to begin shortly after the movie finishes shooting. Here are more details about the Fox TV Studios-produced prequel. 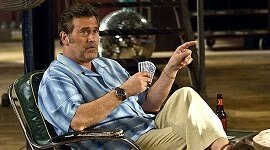 It is set in late 2005 and focuses on Sam Axe's (Campbell) last mission as a Navy SEAL. 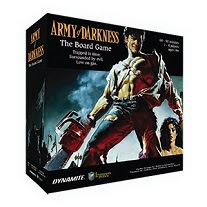 It begins after a faction of Colombian rebels makes trouble for the locally stationed military platoon, with Lieutenant Commander Axe being sent down to investigate. 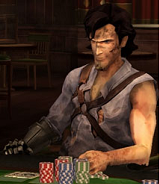 As the mission unfolds, Sam begins to uncover the dark secrets of the area, learning the truth about sacrifice, deception, and ultimately what’s worth fighting for. 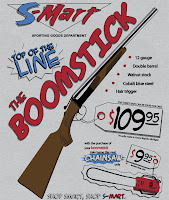 Just having some fun with adobe flash. Item was circulated via the newsagent network in Greece. 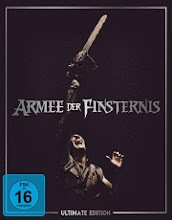 Packaging: Cardboard Sleeve, description partly in Greek. Condition: Excellent! Never been played! Finally a good quality version! 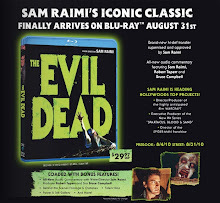 Evil Dead 2 co-writers Sam and Scott re-enact a bit of Tor Johnson and Groucho Marx. 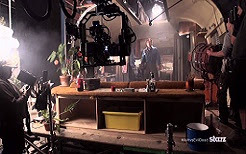 From the "Plan 9 Companion" featurette. Their bit comes in around 32 seconds, after the intro. 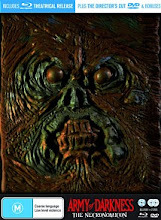 Earlier this month we learned that the Sam Raimi produced DIBBUK BOX would be hitting us just in time for Halloween next year. Now that's all fine and dandy... but what is this bad larry about? The film will follow Clyde Breneck and his 10-year-old daughter, Em, who purchases an antique box at a yard sale (while the real-life story it took place on Ebay). 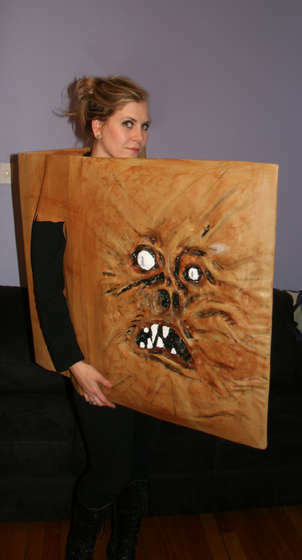 With the box, Em accidentally releases an ancient spirit that has one goal: to devour her. Clyde must team work with his ex-wife to put an end to the curse. Interesting. So we've got the basic 'evil-spirit-after-child' plotline going on. I can dig it. 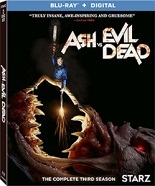 Hell, at least Sam Raimi has his hands in on this one. Ole Bornedal is taking on the directing duties for DIBBUK BOX with a script from Juliet Snowden & Stiles White. 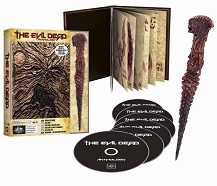 This shite has a release date pegged of October 28, 2011 so expect more on DIBBUK BOX soon! 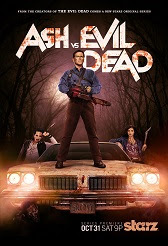 Bruce Campbell as Ash. This caricature won the 1st place at the Caricaturama Showdown 3000 Contest on Facebook. 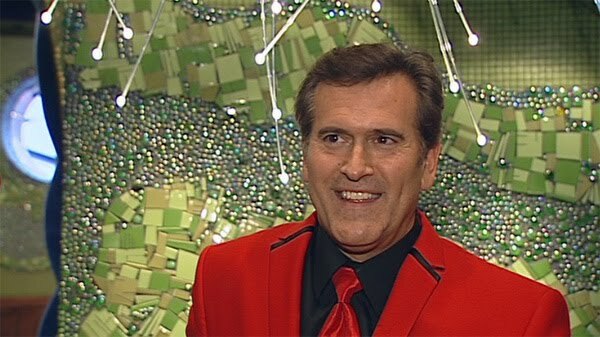 Bruce Campbell, according to both IMDB and Wikipedia, is an American film & television actor. This is a bald-faced lie, as he is in fact the second coming of God. 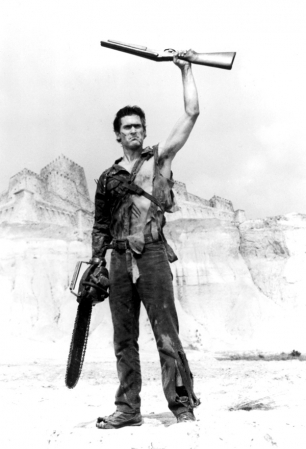 Bruce Campbell is God. Don't act like you didn't know that. 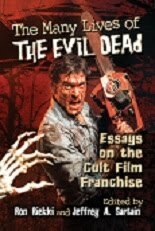 Bruce Campbell is famous for butchering hordes of zombies while Sam Raimi and his documentary crew film it. 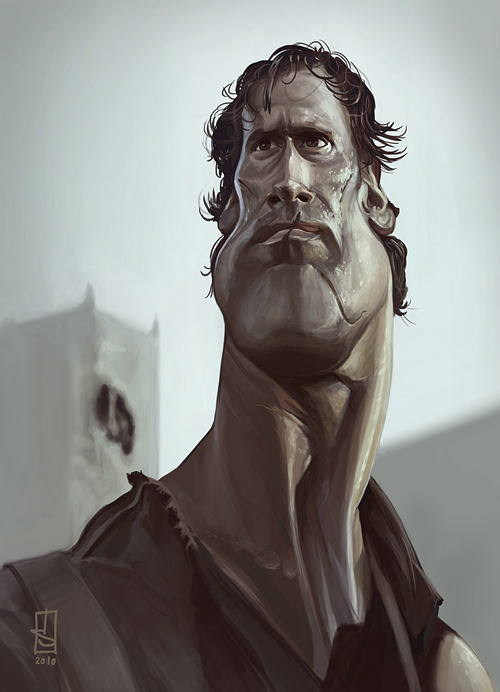 Bruce Campbell pondered becoming a professional wrestler but no one was able to perform a simple chinlock on him. Ignore the insane ramblings of Wikipedia, these are all the real true facts about Bruce Almighty. The real one, not the bendy douchebag. 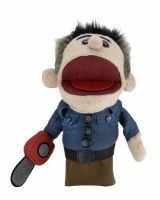 This is a custom Evil Dead 2 Deadite Ash. The head, clothes and accesories made by BETOMATALI. 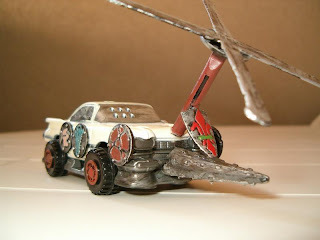 Painted and assembled by me :) Thanks for watching and enjoy my review. 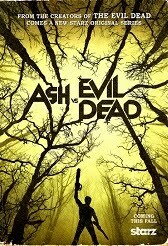 Look out for my other Evil Dead customs too. 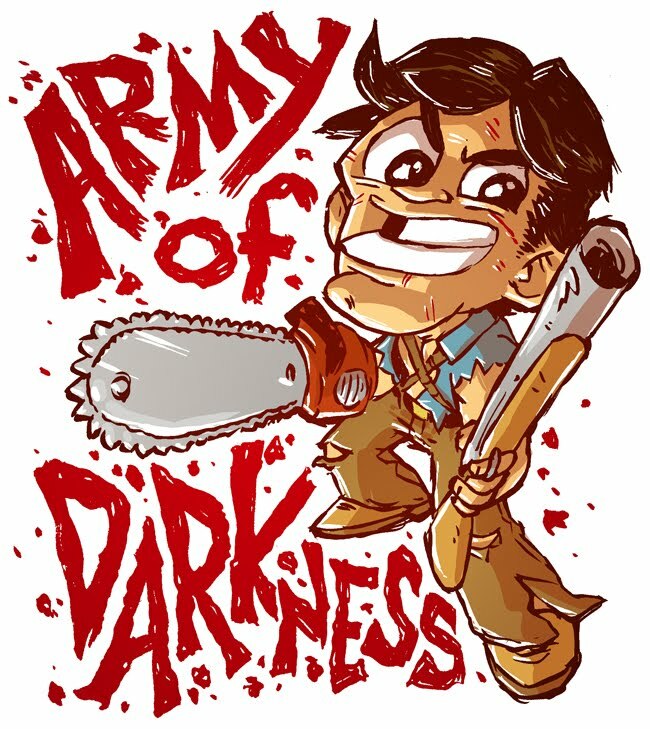 This is a custom Army of darkness Ash. 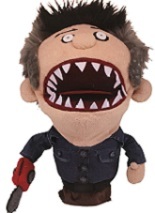 The head was made by BETOMATALI. 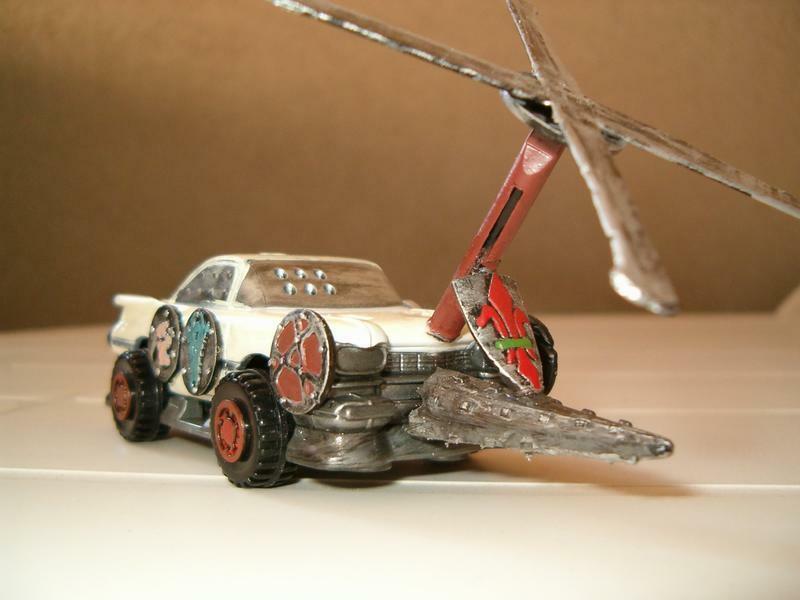 Painted and assembled by me :) Thanks for watching and enjoy my review. 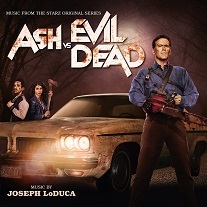 Look out for my other Evil Dead customs too. 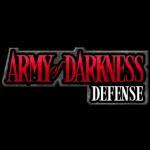 Your Highness Trailer: The Next Army of Darkness? 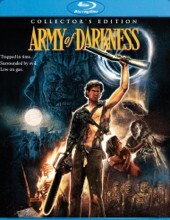 At NYCC we dubbed Danny McBride's wonderfully raunchy Your Highness the next Army of Darkness. Now you can be the judge: Watch the red-band trailer, filled with weed-smoking muppets, magic, and Natalie Portman in a golden thong. Your Highness will be in theaters April 8th, 2011. 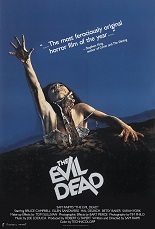 THIS POSTER IS ROLLED IN EXCELLENT CONDITION. THIS IS THE TEASER ADVANCE STYLE. 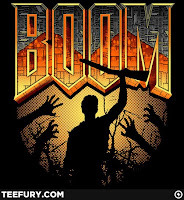 100% AUTHENTIC ORIGINAL MOVIE POSTER. 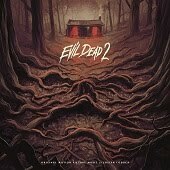 POSTER DIMENSIONS ARE 27" X 40"
There are two things which come to mind when the words Sam Raimi appear, horror and Spider-man. 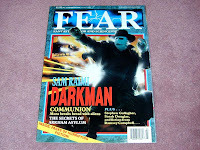 Certainly for me, horror comes to mind first, as that is how I first discovered him (at that time Spider-man wasn't even a glimmer in his eye). 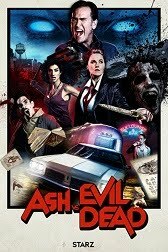 What sets him aside from the other director's who have tackled the genre, is his amazing ability to balance horror and comedy successfully. While not all of his films have that comedy element, those that do tend to be the ones we remember. He is a very versatile director, having dipped his feet in many other genres including crime, adventure and the western. He has proven himself as quite the talent, one that continuously impresses and entertains me. 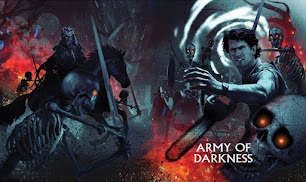 ARMY OF DARKNESS TRAILER, BRUCE CAMPBELL, 1993. 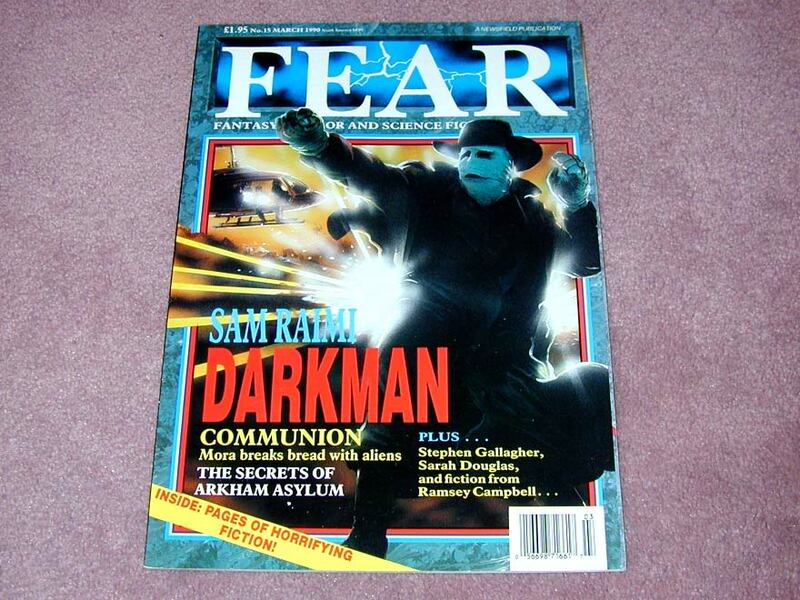 GREAT COLLECTIBLE, RARE, EXCELLENT CULT FOLLOWING. 4" THICK. MOVIE THEATER QUALITY FILM. HOW MANY NEGATIVES WILL YOU HAVE? YOU NEED 8 NEGATIVES TO MAKE ONE FRAME. Dino De Laurentiis, producer of such films as Barbarella, The Dead Zone and Hannibal, has sadly passed away. Producing more than 500 movies over almost 60 years, Dino De Laurentiis became famous for his grand, sweeping epics such as The Bible: In The Beginning, Battle Of The Bulge and the 1976 remake of King Kong. Nevertheless, De Laurentiis’ most interesting and fondly remembered films were smaller in scale. 1973’s Serpico, directed by Sidney Lumet, boasted a remarkable performance from Al Pacino, while 1983’s The Dead Zone paired director David Cronenberg with Christopher Walken in unforgettable style. 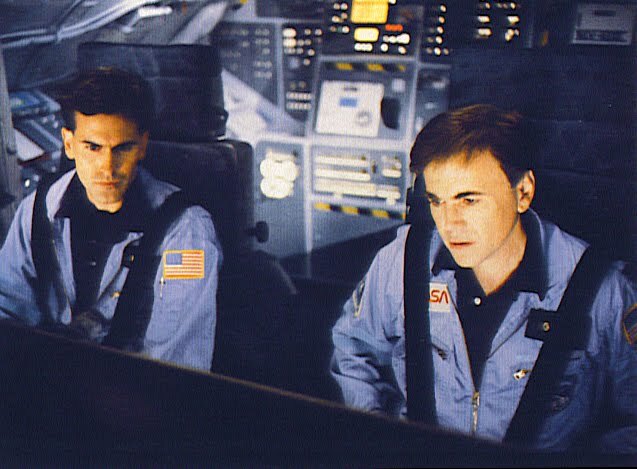 Inevitably for such a prolific producer, not everything De Laurentiis’ fingers touched turned to gold – Flash Gordon, Dune and Maximum Overdrive (writer Stephen King’s first and only directorial credit) all underperformed at the box office – films such as Death Wish, King Kong and, most recently, Hannibal, were huge commercial successes. 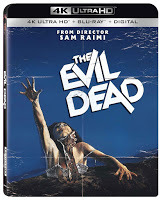 De Laurentiis also produced such cult classics as Barbarella, Sam Raimi’s classic sequels Evil Dead 2 and Army Of Darkness, and the Wachowski brothers’ noirish debut, Bound. 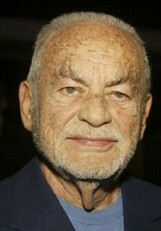 Dino De Laurentiis died today, aged 91. 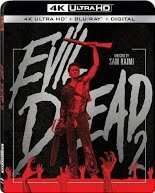 Can you discuss the progress of the fourth Evil Dead movie? 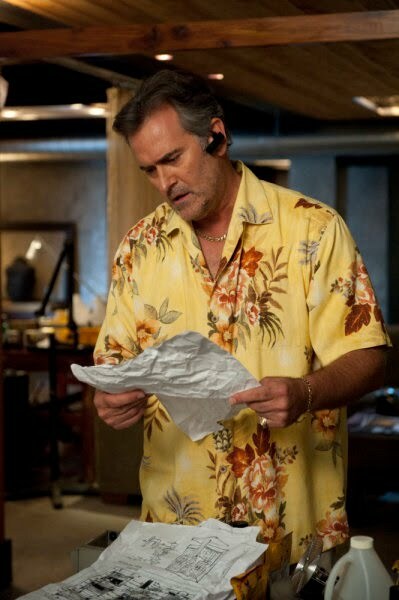 Bruce Campbell: Well, that one – people are going to have to wait on that one, because Sam and I are still working. 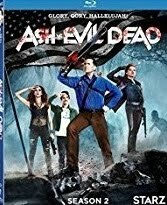 I have a day job now with a TV show called Burn Notice and that takes up about seven or eight months out of my year, so it doesn’t leave a lot of time to make an Evil Dead movie in between. Each of those movies takes about two years. And Sam, as you know, is making a lot of A pictures right now. He’s got some time ahead of him before we can do that. Actually, we are kind of pitching towards a remake, though, much more seriously. 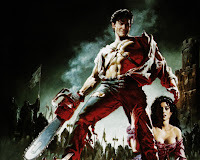 We now have a story for the remake and we might go into production as early as next year. 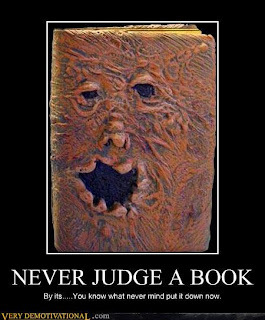 Do you have a script ready for that, then? 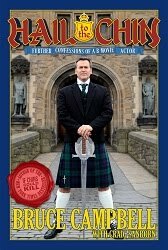 Bruce Campbell: We have a story, not a script. We’re slowly getting there. 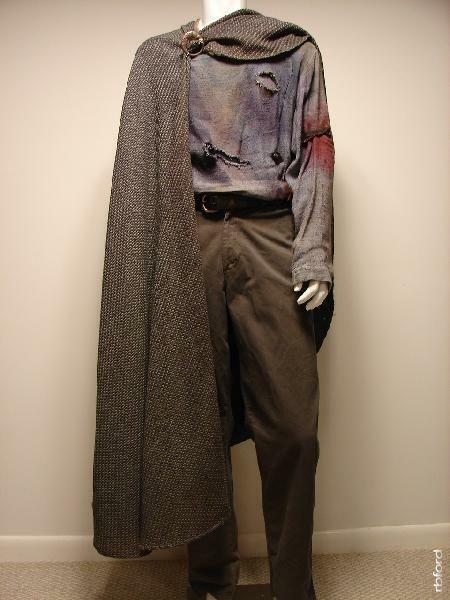 This is the distressed medieval style costume used by Bruce Campbell as "Ash" in the 1992 film "Army Of Darkness" This bloody, tattered and torn costume is complete and includes Ash's pants, belt, cape, cape clasp, and bloody shirt. This particular costume was used during the Deadites attack to retrieve the Necronomicon. 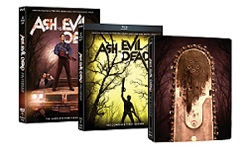 2 Featured Videos: Evil Dead HBO Home Video Trailer and B Movie Mania -"Moon Trap"
Used The Evil Dead one size (adjustable back) mens or womens truckers mesh back baseball cap hat. made by San Sun. 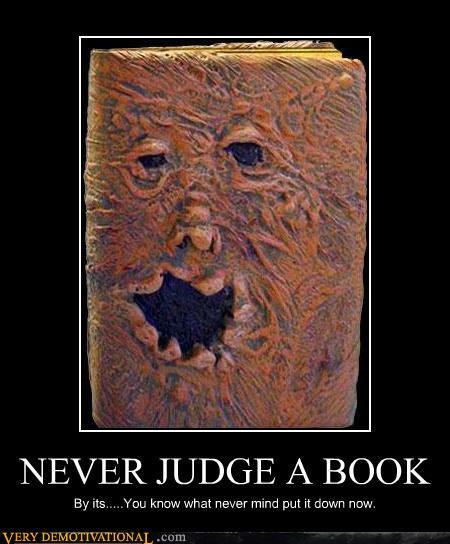 only used as decoration. perfect for those Horror fans or fants ot The Evil Dead! This item is 100% complete; There is nothing cut out or missing. Just in time for halloween, episode eight of NOSTALGIA! 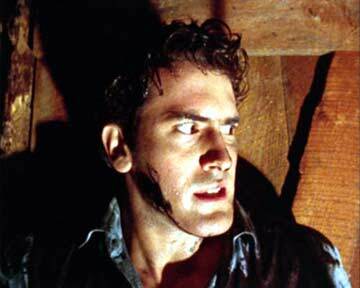 mini is our review of the eternal classic "The Evil Dead" starring the amazing Bruce Campbell. This is also the first episode featuring 16 year old horror film fan and founding member Charis Zina. 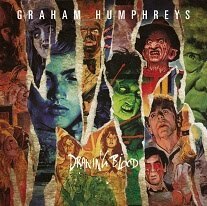 While this is our episode eight, it is also the first review in our Halloween special. To see episodes 9 and 10, you have to watch the special! 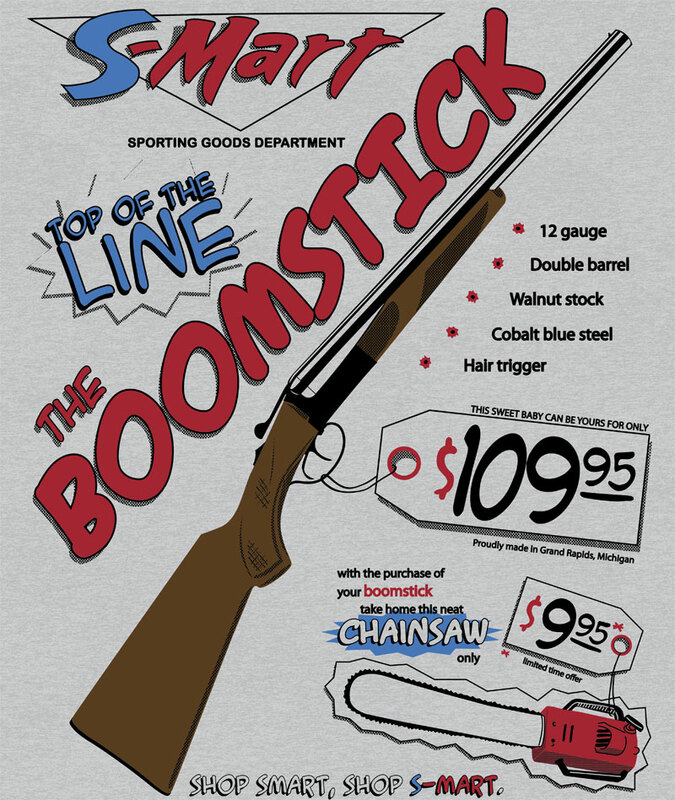 If you know what the means, then you’re going to love this new t-shirt up for sale today. 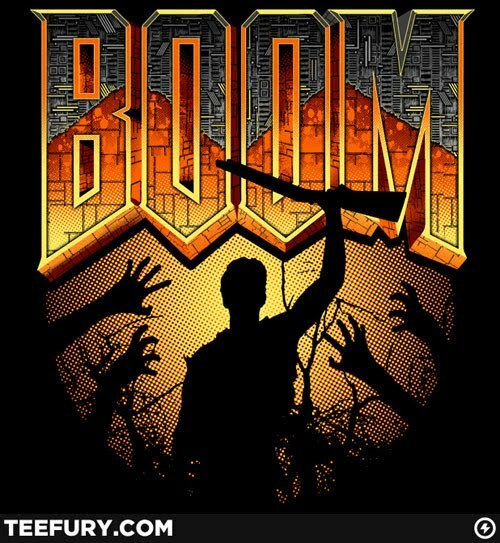 Teefury‘s t-shirt of the day is a mash-up for fans of both the film Army Of Darkness and the video game Doom. 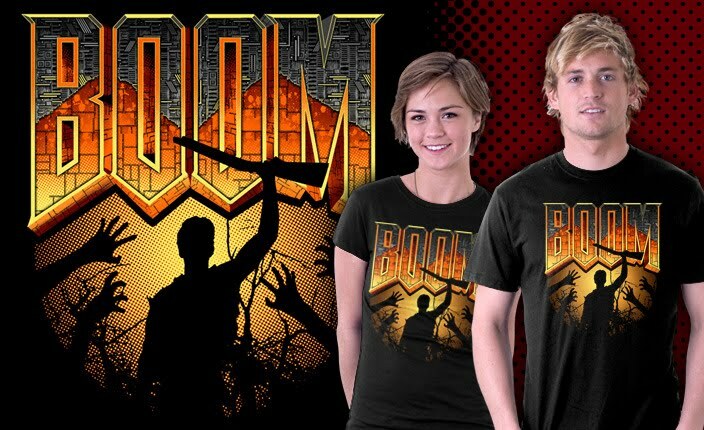 For only $9, plus a small shipping cost, you can get this new BOOM t-shirt, designed by artist Jimiyo. 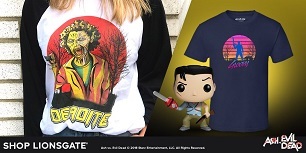 The sale at Teefury began at midnight (November 8, 2010) and will continue for 24 hours, but once it’s over, it’s gone forever, so grab it now if you want it. 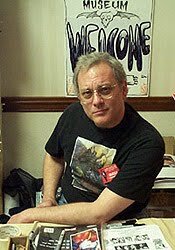 Spencer Fornaciari of MacGuffin Film Podcast interviews Danny Hicks (Evil Dead 2, Darkman, Intruder, Spider-man 2, Dead Season) at the 2010 ZomBcon. 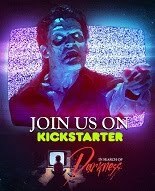 Fango got some bloody good news from Don May Jr. of Synapse Films, who gave us the scoop on a trio of titles the company has acquired for disc release next year. 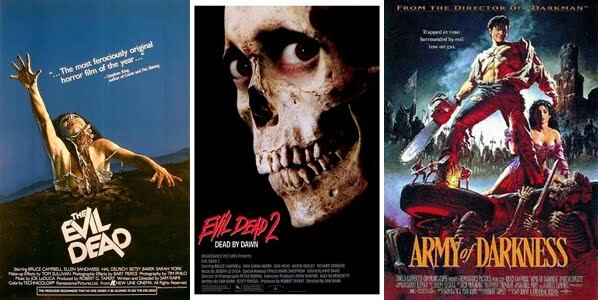 One of them is Scott Spiegel’s INTRUDER, the supermarket slasher flick that marked the first official credit for KNB EFX. 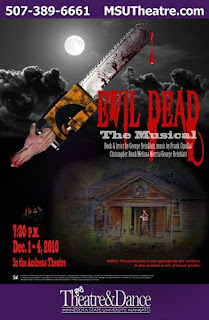 Watch as Vizion Magazine writer, Patrick Monroe, interviews actress Betsy Baker, one of the stars of "The Evil Dead", and the star of the upcoming movie, "2084"
Bruce Campbell introduces The Evil Dead at ZomBcon on October 30th, 2010. John Portanova of MacGuffin Film Podcast interviews Betsy Baker (The Evil Dead, 2084) at the 2010 ZomBcon. Spencer Fornaciari of MacGuffin Film Podcast interviews Ted Raimi (The Evil Dead, Spider-man, Xena: Warrior Princess) at the 2010 ZomBcon. 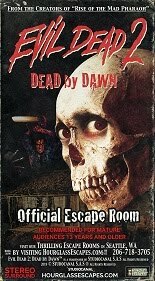 John Portanova of MacGuffin Film Podcast interviews Timothy Patrick Quill (Army of Darkness, Spider-Man, Dead Season) at the 2010 ZomBcon. 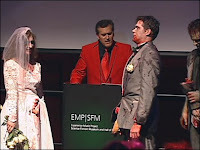 This is the Evil Dead Wedding Renewal Ceremony by Bruce Campbell and Ted Raimi. My absolute all time favorite movies are the Evil Dead/ Army of Darkness "trilogy". 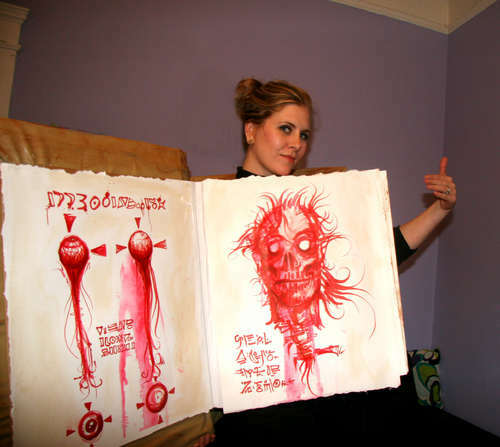 For a fast and cheap costume this year I used the Book of the Dead, the Necronomicon as inspiration. I gave myself one week and $50 to pull this one off. SEATTLE - The bride wore white - stained with blood. The groom was disemboweled. And the wedding party lurched and stumbled through the ceremony, some holding detached body parts. 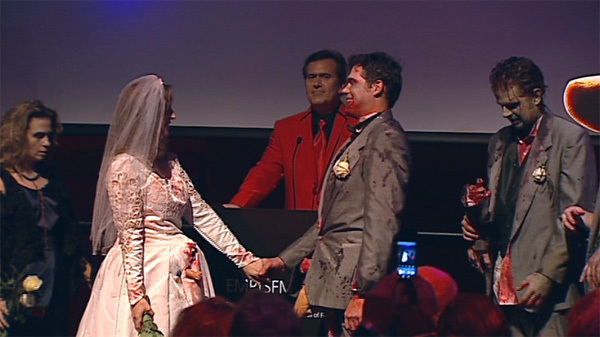 It was a zombie wedding, held at the first annual ZomBCon Saturday night at Seattle's Experience Music Project. 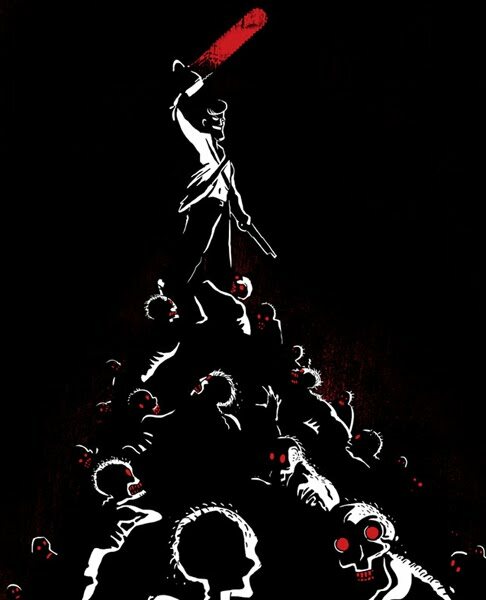 The "zombies" weren't the actual living dead. But the ceremony was the real thing. 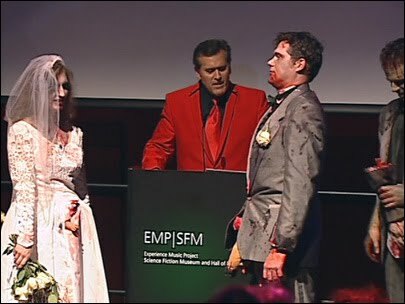 Cult movie star and newly ordained minister Bruce Campbell officiated at what was called 'Evil Dead' wedding - named after the movie trilogy.